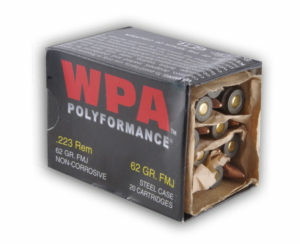 What is WPA Polyformance 223 Ammo? 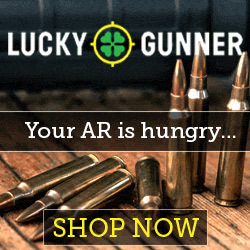 Ammo labels can be very confusing these days. Marketing folks are just getting too creative!!! 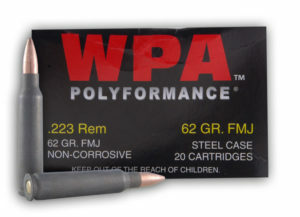 So what is WPA Polyformance 223 ammo? WPA is Wolf Polyformance Ammunition. Wolf ammunition is mostly manufactured in the Tula Cartridge Plant in Russia. Tula manufactures steel cased ammo for export and for the Russian military. Polyformance is a coating that makes the steel cartridge cases feed and eject easily and prevents corrosion. It’s a replacement for the old lacquer coated steel cases. Wolf uses non-corrosive primers. Many people think steel cases will harm a gun but that’s not true. The steel that’s used for the cartridge cases is a soft “annealed” steel. It’s not the same steel as a rifle barrel or action. The benefit of steel cases is low cost.